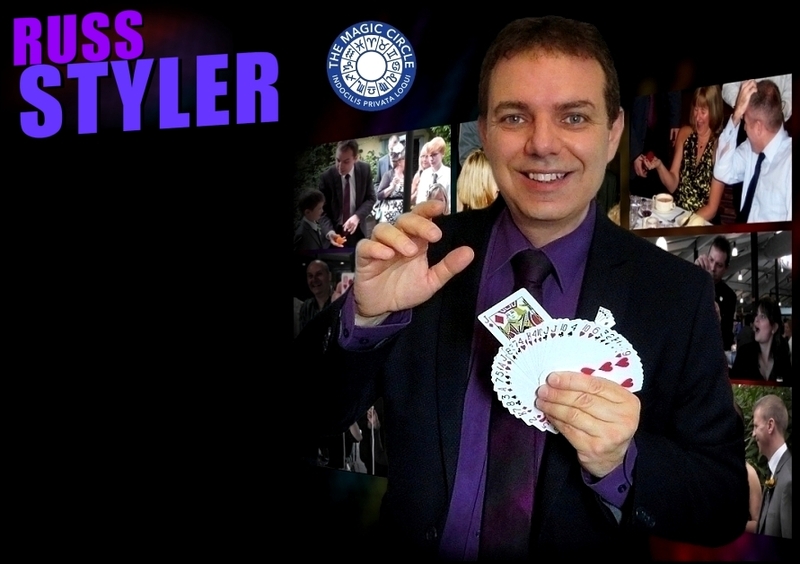 Russ Styler's combination of amazing sleight-of-hand magic and humour have been key factors that have made Russ a most popular, sought after choice of magician for corporate events, weddings, promotions, cocktail and garden parties in Oxford and UK wide. As a highly experienced professional magician, over the years Russ has performed at countless hotels and venues which include top London Hotels The Dorchester and Grosvenor House. Russ has also worked summer seasons as close-up magician and cabaret magician in the UK and abroad and is a member of the prestigious Magic Circle, The International Brotherhood of magicians and Equity. 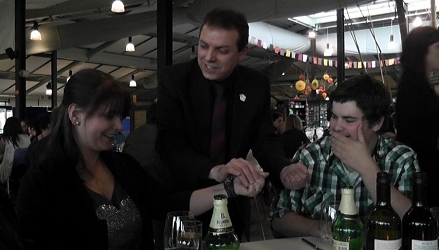 If you're looking to hire a magician to amaze and entertain the guests attending your event or party in Oxford, contact Russ now for availability and maybe he will be there to make it an even more magical, memorable occasion! Magician for hire in Oxford. 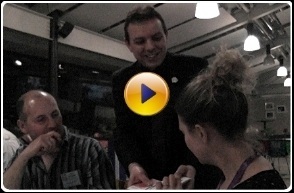 Table magic / walkaround mix & mingle close up magic or shows. Also for university balls, magician for an anniversary party - silver, ruby or golden wedding, special family get-togethers - you name it! Contact for info on cost / prices or any queries. 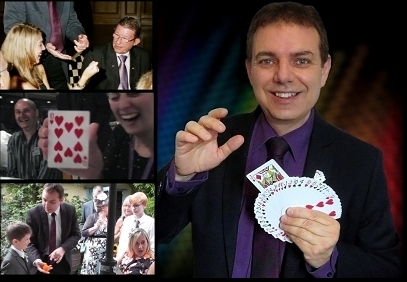 Magic for most events in Oxfordshire UK.